KayKiSpeaks.com: Usher & Mom Talk Marriage to Tameka with Oprah! Ursher baby just sat down with Auntie Oprah for what appears to be one of the most revealing interviews of his career (its Oprah- so.. yeah). 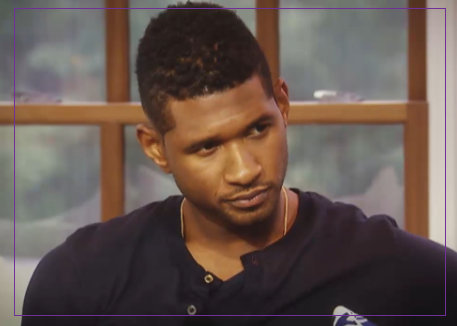 O claims that Usher opens up about everything. Everything including his faithfulness or lack there of to Tameka during their marriage, if he regrets it, his custody battle, and more. Making a cameo is the adorable J Pat- Usher's mama who didnt even attend his wedding to Tameka! Odd, because everybody knows how JPat is about her boys..... Oprah addresses that too of course. I do wonder if Tameka was contacted by Oprah's show to at least give her side of the whole custody thing..I think that would be the just thing to do. Stay tuned Sunday to Oprah's Next Chapter to see/hear it all! See a snippet of what you can expect below!